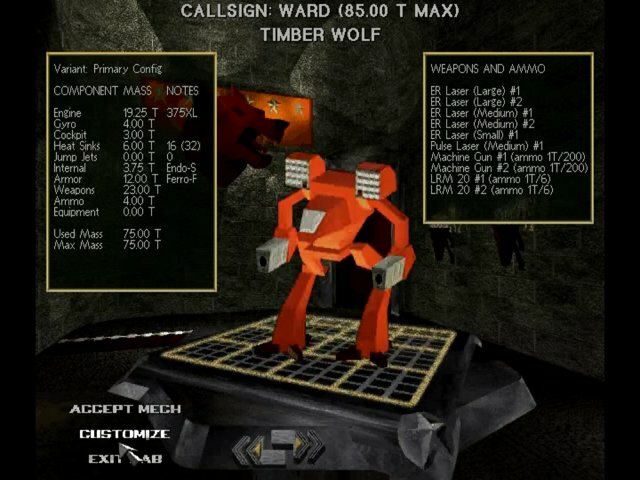 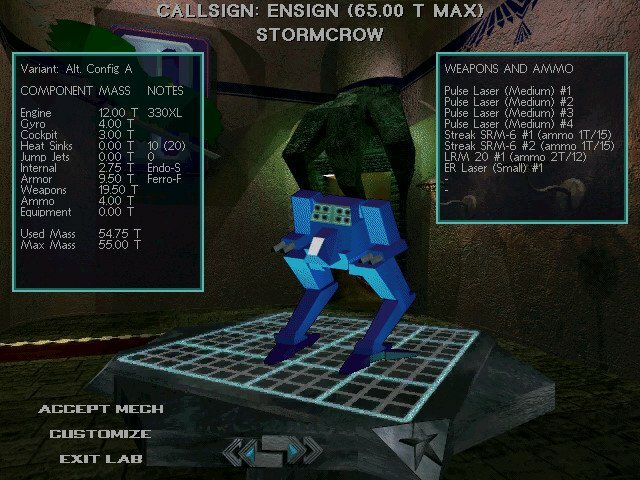 Set in the 31st century, the storyline in MechWarrior 2 has advanced several decades beyond the mercenary tale of the original MechWarrior, and now presents a much richer, more robust plot that places the player as a rookie BattleMech (or ‘Mech) pilot in the stable of one of two powerful clans — the Wolf Clan, and the Jade Falcon Clan. 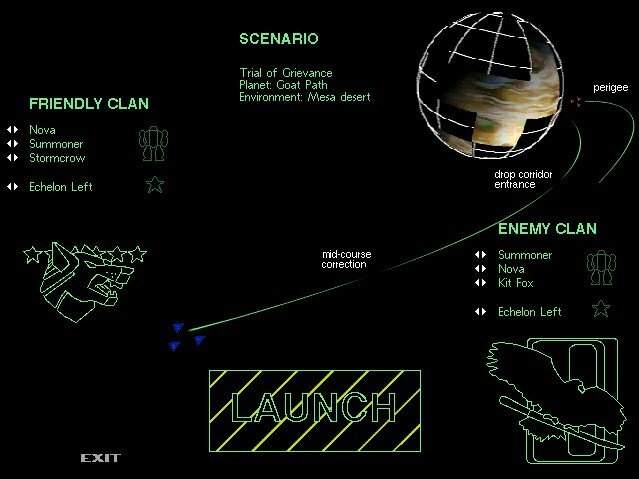 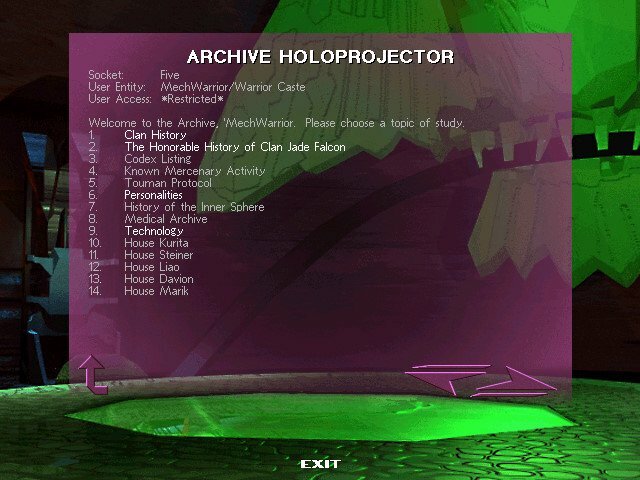 After being soundly defeated in the Battle of Tukayyid and forced into signing a 15 year cease-fire with the Inner Sphere forces, the Clans have retreated to their homeworlds and are currently engaged in rapidly escalating disputes that threaten to destroy the fabric of Clan society. 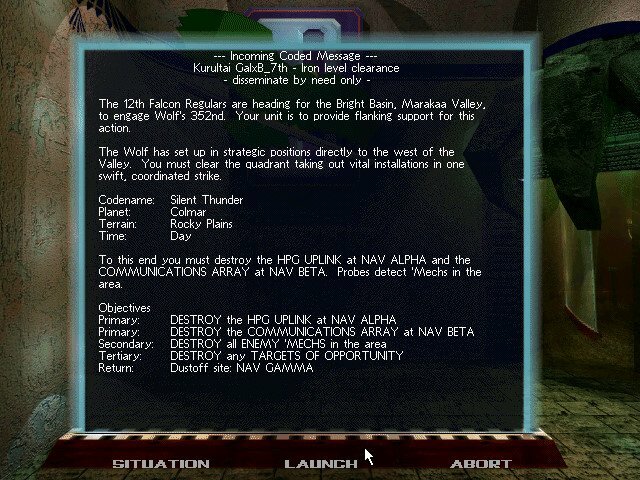 Your goal in the game (beyond surviving each mission, of course) is to rise through the ranks until you become Kahn (the title held by the Clan leader). 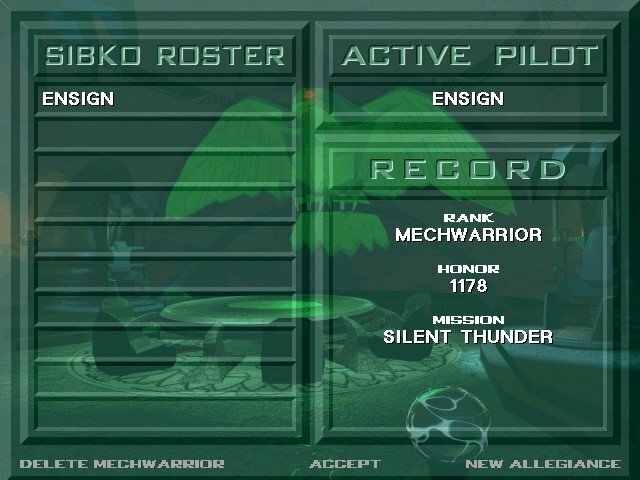 Then you’ll challenge the rival Clan’s Kahn in a battle to become the il-Kahn, supreme ruler of all Clans. 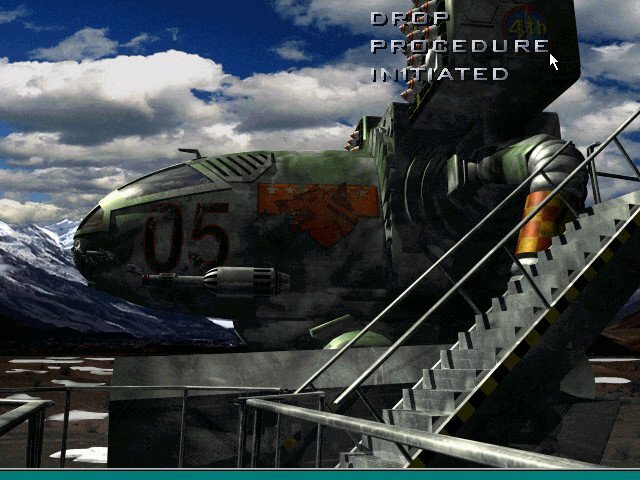 But before you can achieve that lofty goal, you’ll have to claw your way to the top and prove yourself a capable pilot. 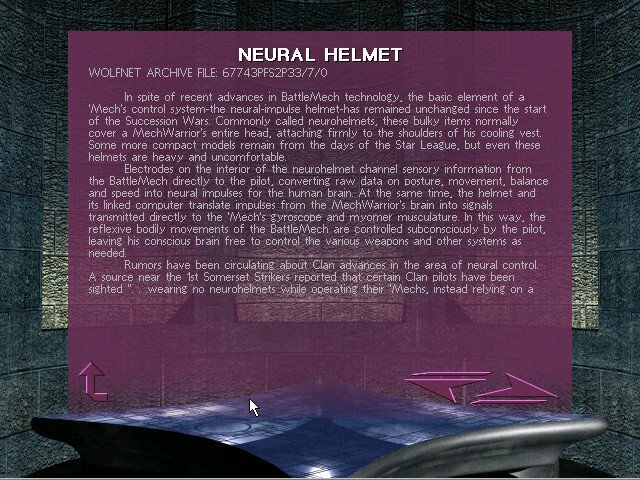 You begin the game by choosing which Clan you wish to join, then proceed to the training grounds. 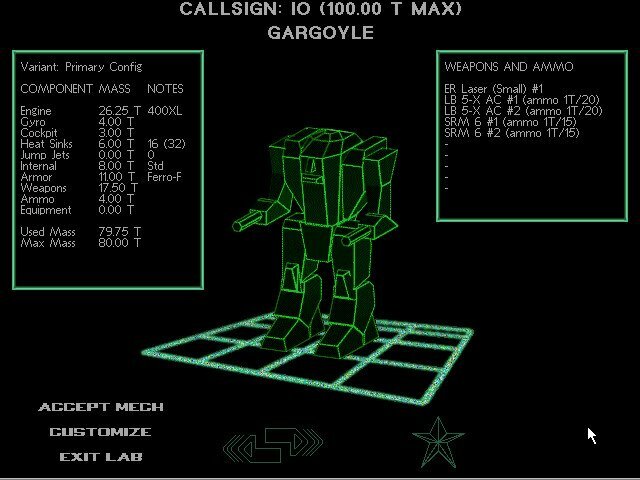 It’s during these training exercises that you get your first glimpse of the cinematic drama the whole Mechwarrior Universe has become. 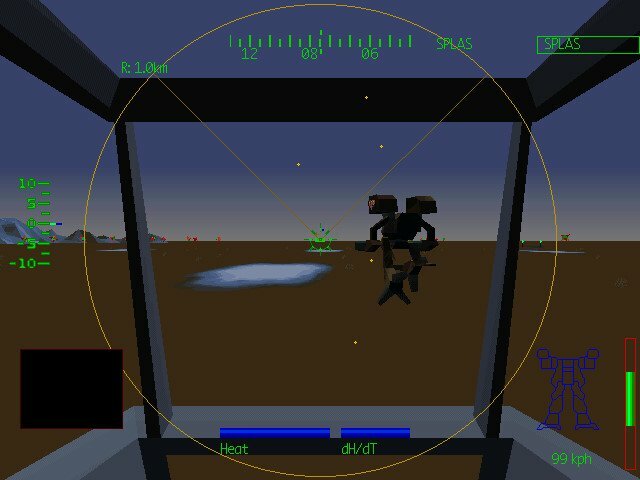 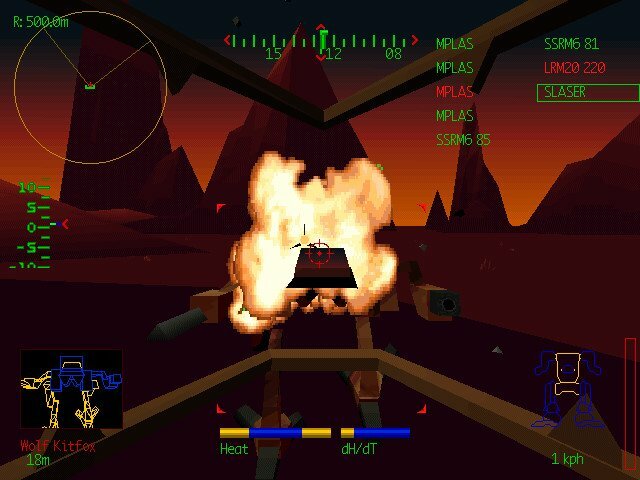 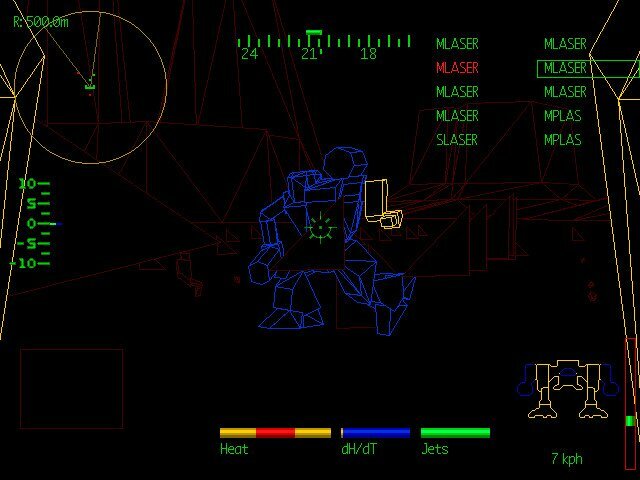 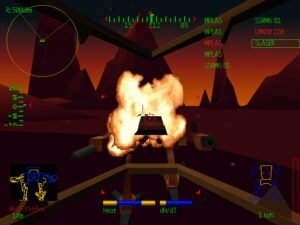 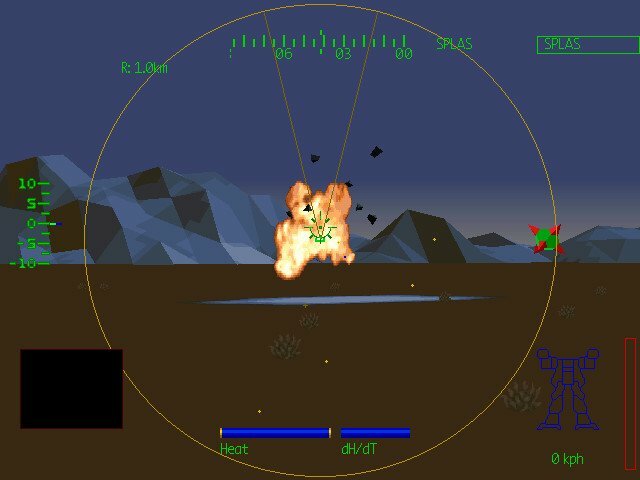 For one thing, the view from the cockpit looks far superior and more realistic than any previous battlerobot games. 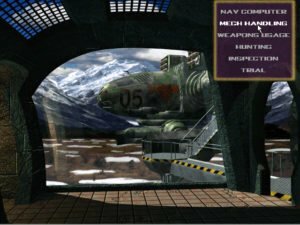 The Mechs, buildings, and landscapes are all sharply rendered, with modest but effective textures sprinkled about and enhanced by dynamic lighting effects for day, night, dawn, or dusk missions. 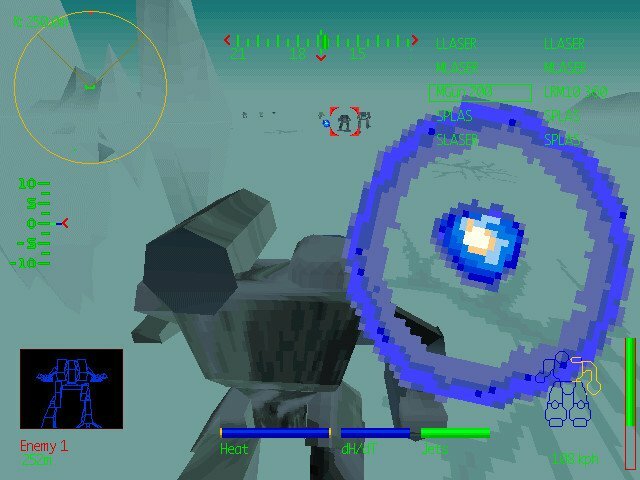 The gameplay shows as much attention to detail as the visuals, with missions that are designed to give the player an opportunity to get used to controlling these behemoths, then turns up the heat to the point where you become totally immersed in the struggle of the clans. Other extras such as a huge encyclopedia, help files, a skirmish mode and CD manual make the game very approachable to beginners. 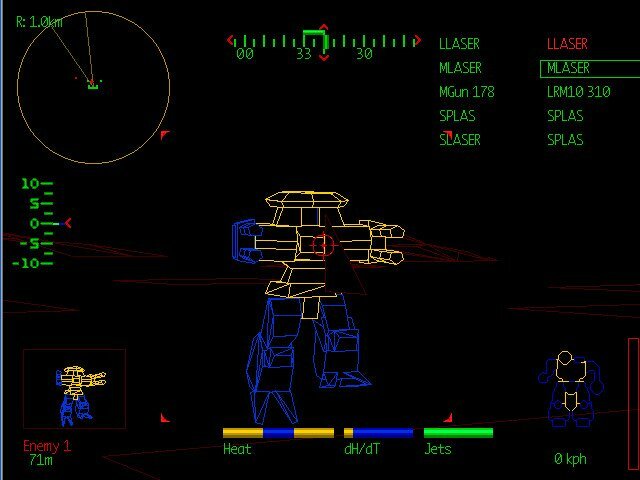 As you begin to progress through the campaigns, you’ll find that combat is fast and fierce due to the distinctive AI of each of the enemy Mechs. 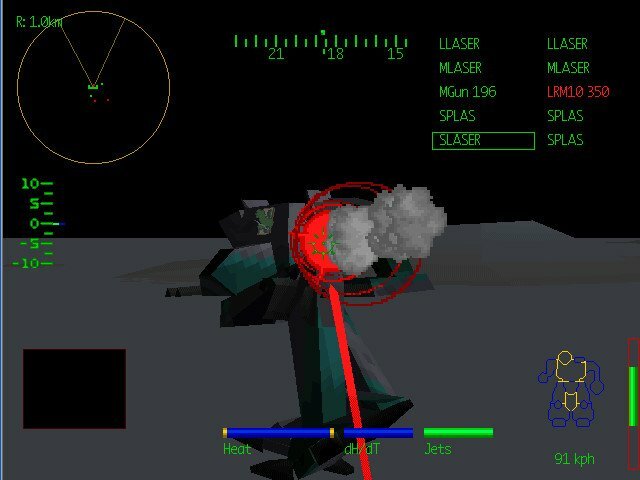 Heavily armored Mechs such as the Marauder IIC typically move in for the kill and blast away with big guns, while the dreaded Summoners (my personal favorite) use their jump-jet capabilities to launch themselves out of harm’s way or to attack from above. 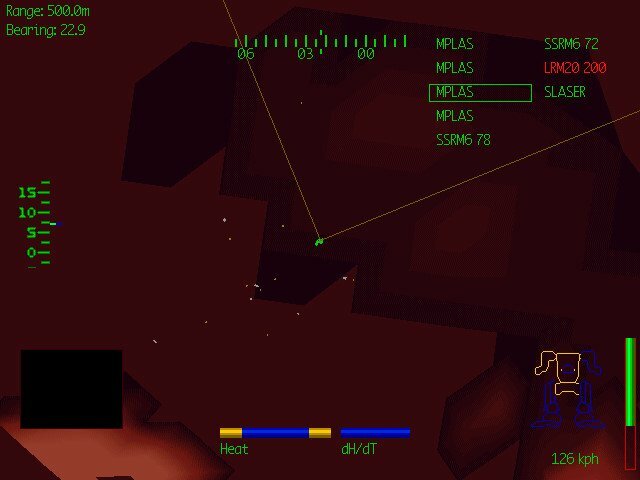 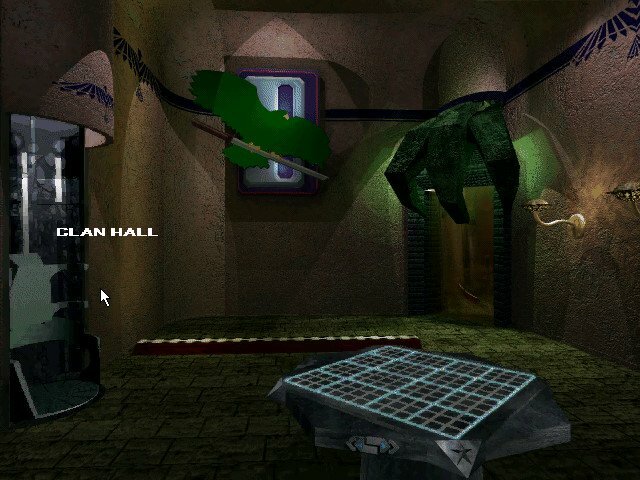 As it stands, the game is a masterful update of the classic, with nearly all of the features fans of the original were hoping for.